Us modern-day humans consume large amounts of electricity. This high energy consumption is damaging to the Earth as we burn excessive amounts of oil and coal to generate it. These resources are not good for the environment and eventually pollute our air, soil, and water. To add onto this both of these resources are finite and will eventually run out. Solar energy on the other hand is an eco-friendly resource and will be in abundance for the next few billions of years. With that being said how does solar energy help the environment? Why is it so special and is it really the best avenue for generating energy? In this article we’ll discuss this common question and inform you on the effects of solar energy. As we mentioned above modern society consumes a lot of energy. The U.S. alone consumes about 24% of the world’s energy even though it only accounts for 5% of the world’s population. To make this even worse the U.S. consumes majority of this energy from coal and gas. As we burn these resources for energy they create what is called the greenhouse effect and heat the Earth. Solar energy doesn’t create these harmful wastes and is thus much cleaner for the environment. The most common avenue of using solar energy is by using photovoltaic panels. 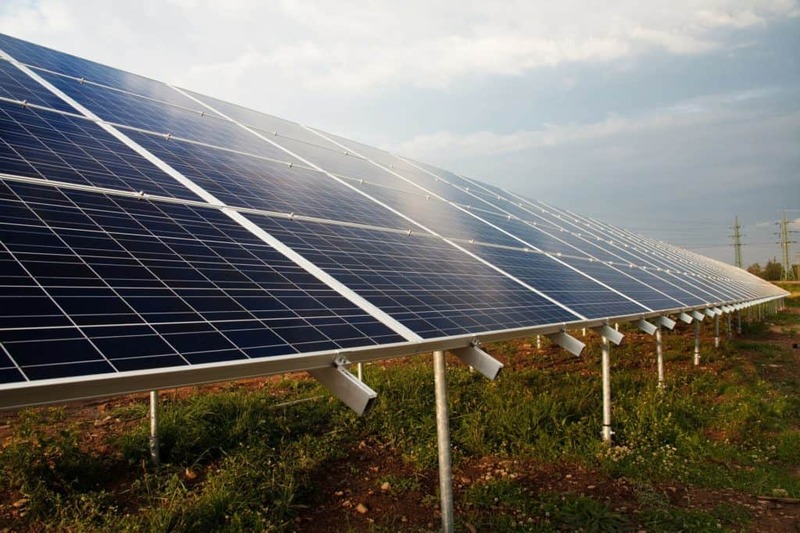 Photovoltaic panels, also known as solar panels, absorb sunlight and convert it to usable energy. This process is effortless and doesn’t create CO2 or other harmful gasses like oil or coal. What makes it even better is that most solar panels are made out of high-grade materials and parts. This means is that they rarely fail and are almost a sure investment. Most popular solar panel companies offer 20-30 year warranties. Giving you an average 25 years of carbon free energy that rarely fails. Another common avenue for using solar energy is by setting up a field of mirrors and pointing it at one focal point. This concentration of energy generates a lot of heat which is than converted to usable energy. Another factor to contemplate when looking at different resources is the possible environmental disasters that can be caused by them. Coal, oil, and nuclear power are not foolproof and can have devastating consequences whenever something goes wrong. Deep sea oil drilling is a great example of this. Breaks sometimes occur, thus releasing millions of gallons of oil into the ocean. Nuclear energy has complications that occur as well. Sometimes parts fail which then cause an explosions. In case of Japan radioactive water leaks into the ocean and damages the wildlife. Solar on the other hand doesn’t create environmental disasters. Its simply just a great eco-friendly avenue of generating energy. Its clean, safe, and there will always be an abundance of it. While renewable energy accounted for 13% of the United States energy in 2015, only around 5% of that was from solar. Solar energy isn’t only good for the environment, but it also has a ton of other benefits as well. Together these benefits make solar one of the best avenues for generating energy. With that being said we recommend looking at the below examples to gain a better perspective on just how awesome solar energy is. One of the most important benefits is that its saves you money in the long run. When you purchase solar panels they start to generate free energy immediately. Over time this free energy that is generated eventually pays for the whole system itself and starts to save you money. In some states you can even get paid by the excess energy that your system generates. Another top benefit of solar is that it allows you to live independent. With solar you aren’t limited to houses in areas connected to the grid. Instead you can live literally anywhere that has sunshine. This freedom is perfect as a lot of people would rather live off-the-grid and away from civilization. To make this even better solar panels require very low maintenance and are super passive. You set up the system once and it works for years without failing or any issues at all. The only maintenance that is required is regular cleanings. Over time dirt and debris builds on the panels. This must be washed off to maintain the efficiency of the panel. Thankfully, this only needs to be done ever 6 months and doesn’t require more than 30 minutes. The last benefit that most people don’t know is that solar panels can actually increase home values. Just like remodeling the kitchen increases the price of a home, installing a solar system does the same thing. In fact, a study published by The National Bureau of Economic Research, found that solar panels added a $20,194 premium to the sales price of a house. Overall solar energy is a great for the environment and has a ton of other benefits too. 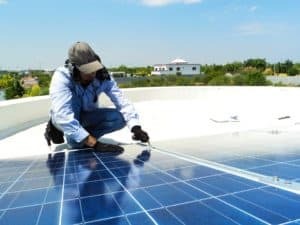 We hope this article exposes you to some of the benefits of solar and makes you realize how awesome this technology truly is. As years go by solar panels will only become more powerful, cheap, and efficient, making it a great investment for you to look into.